CANASTOTA, NY - FEBRUARY 20, 2012 - U.S. Sen. Charles E. Schumer toured the Boxing Hall of Fame today while visiting Madison County in upstate New York. 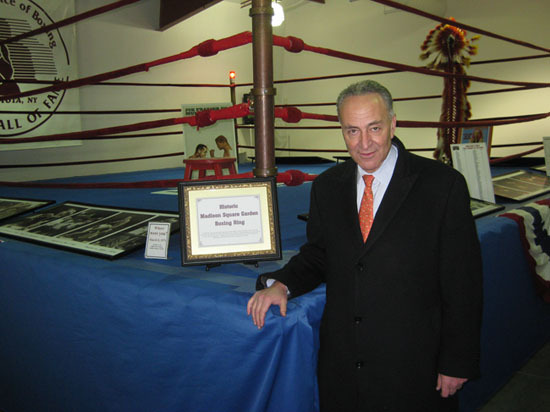 Sen. Schumer spent time by the world famous Madison Square Garden boxing ring recalling many of the classic moments that took place inside its legendary ropes. During Sen. Schumer’s visit, he also had the opportunity to interact with a group of exchange students from Nicaragua who were touring the Hall of Fame at the same time. 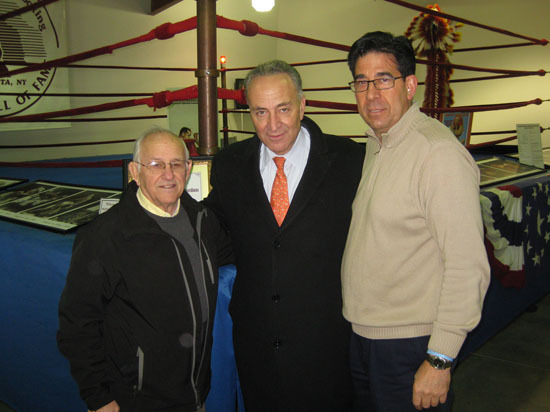 Below are a few snapshots of Sen. Schumer’s visit to “Boxing’s Hometown.” Click on images below for a larger view.